Chrysler 300 has reveal a project that has redefine the possibilities of a sleek performance when it comes to design, technology and efficiency. The details are well emphasized to incorporate a distinctive feature on how unique the vehicle can drive you across the highway. Signature Chrysler logo attached on the front grille, halogen headlamps and glossy body style are definitely a deadly attraction to car collectors worldwide. Take a closer look inside the highlights of this outstanding deluxe auto. Before heading to the outer gear of the Chysler, check out its efficiency-powered engine. Its two classification engine that comes in V6 and V8 optimized promising performance. With the 3.6 liter Pentastar V6 engine, the efficiency horsepower unit runs at 292 while the 5.7 liter HEMI V8 engine produces 363 of horsepower unit. To top it all, both engines can accelerate up to 60 mph in a dazzling four seconds range. 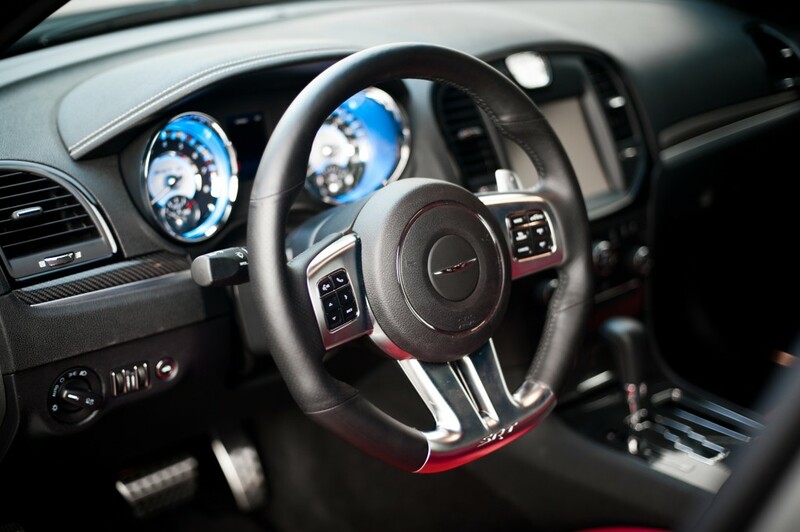 Diving inside the interior styling is more than what you could expect. This is where technology meets the trends of comfort and color. From the dashboard theme, satin chrome is the key selection to match the seats cover as well as the interior trim. The dual-pane sunroof cover control is made to feel the evening gaze of stars as you rover through the night. Every driver loves a tech gadget in their workspace while driving. Voice command system, navigation, sound stereo and other devices are fully equipped in Chrysler 300 model. Giving a cool cruise streamline, the Uconnect Phone is a built-in voice command system that controls and synchronizes with any Bluetooth hand phone devices to yield in the driver’s desired command. Along with this tool features a stereo MP3 player, which you can play any tracks of your choice compatible with your Bluetooth-recognition smartphones. However, to give a more fantastic surround system, the vehicle presents a Harman Kardon Logic Surround System to supply full action force for music lovers. It just gets better than any dashboard-mounted devices. The accent of exterior moding elaborates on both rear ends of the car. Designers utilize Adaptive Forward Lighting system as an innovative lightings for night driving. Halogen headlamps are also evident to give that handsome front look. Safety in Chrysler 300 upgrades the standard features from previous models. Airbags are placed at different positions of the front seats to keep the body align against erratic positions when collision strikes. Parking sensors are also made available to render a safe parking control convenient for drivers to park anytime of the day. What Makes the Chrysler 300 Stands OutnThe Chrysler 300 model was initially launched way back in the 1950s. However, the car became obscure in the 60s and it never resurfaced until the mid-2000s with a brand new look representing Chryslers bolder and more active direction. 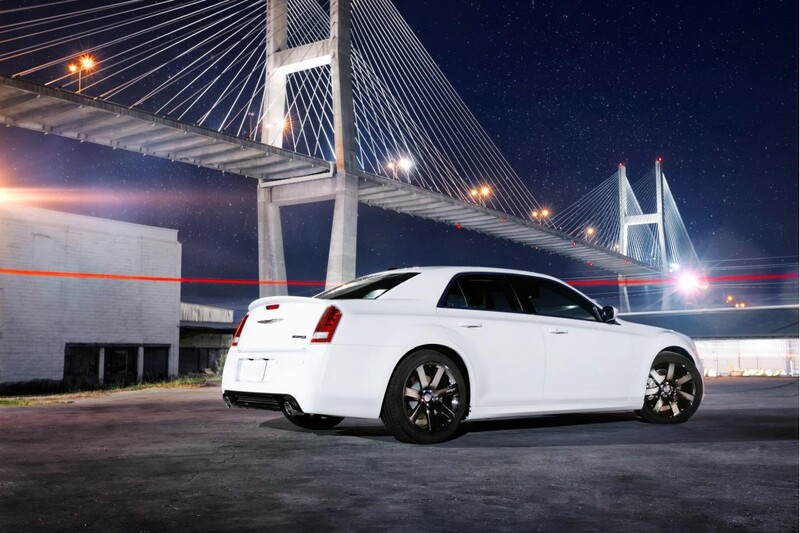 Â The new Chrysler 300 edition was an immediate success and much can be attributed to its retro look. But of course, there are other features of the amazing classic that contributed to its stellar rise like its dominant V8 engines and rear wheel drive design. And the manufacturers of the car are not done yet with plans to release a more economical V6 edition but with more enhanced interiors. For large sedans, the Chrysler 300 really stands out among its peers.nThe Chrysler 300 comes in rear-wheel or four-wheel engine versions and it has been a favorite of customers who need something more than your regular family sedan, something that possesses more personality and power. Many of the amenities and mechanical designs used in the making of this car are actually Mercedes Benz technology patents, hence, the cars dominant exterior and interior features. But, even with its German technology refinements, the general styling applied on the Chrysler is a hundred percent American accentuated by its large wheels, raised beltline, adorned headlights, and huge chrome grilles. The space for passengers inside is comfortably spacious, thanks to the 120-inch wheelbase, which reduces the overhangs on the cars front and rear. In fact, compared to its rivals, the Chrysler 300 has a larger legroom.nSome of the fine points in the Chrysler 300 include car entry and ignition that does not require keys, automatic headlights, touch screen interface controls, dual zone climate control, and power driver seats. And I am just talking about the standard amenities. For the Limited 300C edition, you get front seats heaters, rearview camera, kickass sound system, and Bluetooth capability.nWhile driving, one would notice that amazing maneuverability of this luxury sedan with suspensions that can provide optimum comfort to its passengers even on heavily potholed roads without being too floaty. The latest editions of the car include electrically assisted steering and recalibrated suspensions for maximum ride quality. The audio is provided by Beats by Dr. Dre. There is an earlier version of the Chrysler 300 that is designed with an all drive system yet the user is given the option to the front wheels in order to conserve on fuel.